Cancer – it’s a word we dread. Nobody wants to receive a cancer diagnosis but a significant number of us, or our loved ones, will be affected by cancer at some time in our lives. The common conventional approaches of surgery, chemotherapy and radiation can be lengthy and difficult. When managing the side-effects of these treatments, people sometimes turn to homoeopathy. This article looks at the ways in which homeopathy can help and what the research shows. Radiotherapy (radiation therapy) and chemotherapy are conventional approaches to cancer treatment. They’re used to shrink or destroy tumours, prevent the spread of cancer or lessen its likelihood of return, and may be used in conjunction with surgery. 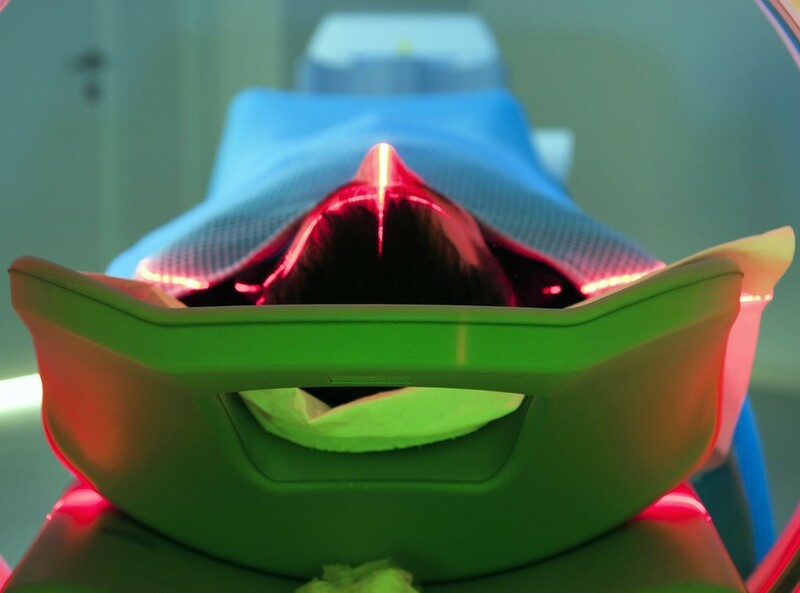 Radiotherapy kills cancer cells by targeting beams from a radiation machine at the cancer, or by inserting small amounts of radioactive material in or near the tumour. Chemotherapy destroys cancer cells with chemicals that may be rubbed onto the skin, injected into the body, or swallowed as a medicine. Both approaches damage the chromosomes of cells, restricting their abilitiy to grow or reproduce. Because most cancers grow and divide rapidly, it is hoped that they will be affected much more quickly by the treatments than normal cells that generally grow and divide at a much slower rate. In spite of all efforts to prevent or minimise the risk, chemotherapy and radiotherapy do produce adverse reactions. Common short term effects include nausea and vomiting, fatigue, loss of appetite, and skin burning or pigmentation. Cognitive decline – especially if radiation has involved the brain. Because all rapidly dividing cells in the body are by affected treatment, not just the cancerous cells, some areas are particularly prone to unwanted damage. Cells that line the mouth, causing inflammation and ulceration (stomatitis). Homeopathy is frequently called upon for help by those seeking an alternative therapy to relieve the side-effects of radiation or chemotherapy. The following is a list of supporting research and studies about how it helps. Symptoms of radiodermatits (a skin reaction caused by radiation) were relieved by homeopathic Belladonna and X-ray. Both remedies were more effective than placebo and the recommended conventional medicine. Calendula officinalis ointment reduced the incidence of pain and dermatitis in women receiving radiation for breast cancer. It was more effective than placebo and the recommended conventional medicine. (Note: The ointment contained Calendula in herbal form but its effect was homoeopathic due to symptom similarity. Potentisation is not a requirement for homeopathy, just a way of introducing other benefits). White mice given homoeopathic Ginseng and Ruta graveolens before and after radiation suffered less chromosomal damage than mice given only placebo. Indian research suggests that homeopathic remedies produce protective effects in the cells of experimental mice by regulating the genetic material within those cells. There are no specific remedies for chemotherapy induced nausea and vomiting – just the standard ones traditionally used by homeopaths for all types of nausea and vomiting. Successful treatment requires the remedy to match the individual symptoms of the sufferer. Traumeel, another complex of remedies, significantly reduced the severity and duration of chemotherapy-induced stomatitis (mouth inflammation and ulceration) in those undergoing bone marrow transplantation. Many of these patients were children. Remedies within the complex include: Aconitum napellus, Arnica montana, Belladonna, Bellis perennis, Calendula officinalis, Chamomilla, Echinacea, Echinacea purpurea, Hamamelis virginiana, Hepar sulphuris calcareum, Hypericum perforatum, Mercurius solubilis, Millefolium, and Symphytum officinale. Potentised doses of carcinogens had a protective effect against liver cancer in rats exposed to those same carcinogens. Potentised doses of conventional immunotherapy drugs, such as tumor necrosis factor, were shown to reduce their own crude dose side effects. Homeopathic x-ray was used to relieve radiodermatits in those receiving radiation as part of their breast cancer treatment. The effects of homoeopathic remedies are far-reaching when prescribed according to the unique symptoms of the person rather than by the name of the condition or disease. Most of the above research focused on the treatment of single symptoms or used complexes (combination remedies) in a ‘shot gun’ approach but homoeopathy is at its best when the individual’s cluster of symptoms is treated by a matching remedy rather than different remedies prescribed to treat those symptoms one by one. For example, Cadmium sulphuricum is one of the better known remedies for chemotherapy and radiation side-effects because its ‘symptom picture’ covers extreme exhaustion, icy coldness, nausea and vomiting, anorexia, loss of hair, and weight loss – all common side-effects of patients receiving chemo or radiotherapy. All these symptoms can be treated by the one remedy rather than resorting to different remedies for different symptoms. Homoeopathy also has more than just one remedy for treating a particular problem. For example, the nausea and vomiting associated with chemotherapy can be helped by remedies such as Arsenic album, Ipecacuanha, Nux vomica, Phosphorus, Tabacum, and many other others depending on whether or not the patient’s nausea is with or without thirst, accompanies a clean or dirty tongue, is worsened by warmth or cold, or is with emotions of irritability, cheerfulness, or quietness, and so on. The remedy that best matches the individualising symptoms of that person’s nausea is the one that will be the most helpful. While homoeopathy can be safely used for simple ‘at home’ needs, self treatment for radiotherapy and chemotherapy side-effects will not give the best results. A qualified homoeopath with experience in this area should be consulted as he or she will differentiate between the sufferer’s symptoms, choose the most appropriate remedy, and prescribe a dosing regime that suits that person. The information in the Finding a Good Homeopath tutorial will help identify the characteristics of a well trained homeopath. As said at the beginning, nobody wants to receive a cancer diagnosis – but if it happens, the best way to face it is with accurate information and the caring support of family, friends, and trusted healthcare professionals. After considering all options and making the choice for treatment by radiotherapy or chemotherapy, remember that homoeopathy can help with any side-effects, should they arise. Next in this Series: The remedies discussed in this article (an others not discussed) can reduce the side-effects of conventional cancer treatments but homeopathy is also being used to treat cancer. This topic will be discussed in the next article in this series.